Whether you are restoring house windows or updating them completely, Modernize is here to help you find replacement windows in Dallas, TX. We will connect you with local trusted contractors that will give you essential information on where to start upgrading your home's windows. We take pride in what we do and we want to help ease the process of getting new windows installed. Let us help you compare estimates from local contractors to get the best window prices today! Get free quotes from the best window replacement contractors in Dallas, TX, ready to complete your project. 20% off your entire order! 20% off your entire order! Although most high quality windows can be expected to perform well and remain energy efficient for years after their purchase, all windows have to be replaced eventually. If your windows are more than 15 years old, if they have become difficult to operate, or if you are beginning to notice moisture between your windows panes, it may be time to invest in replacement windows for your home. Installing new windows for your home is a big investment, so you want to be sure you have found the right windows for your home. The best windows will be designed specifically for the climate in Dallas and will be made from durable, weather resistant materials. In addition to finding the right windows for your climate, you will want to understand the permit and licensing regulations put in place by the City of Dallas before making a purchase. In this article, you can expect to find the basic information you need for your window purchase, including Dallas climate considerations and city regulations. Before you consider how the climate and city regulations where you live should influence your window purchase, there are basic things you should understand about new construction and replacement windows. New construction windows work best for remodeling and new building projects because they are designed to be secured directly to the frames and studs of the home. In comparison, replacement windows are specifically designed for an exact fit in the space left behind by the windows you have removed from your home. Once you have selected either new construction or replacement windows, you will want to decide on the operational design of your new windows. If you are searching for windows that are low maintenance and open and close easily to allow natural air into your home, double-hung windows may be the best choice. These windows are fully operational, constructed from two vertically hung windows that slide up or down to open, and tilt inwards for effortless cleaning of the exterior window panes. If you are simply looking to bring more natural light into your home, a non-operational window like a picture or arched window may be the best choice for your home. These windows are stationary and available in a wide variety of shapes and sizes. Most window brands can be customized to fit perfectly with the decor of your home. Window frames can be manufactured from wood, vinyl, aluminum, or fiberglass in a wide variety of colors and finishes. Multiple hardware finish options and glass grid designs offer the opportunity for further customization. In Dallas, if you have the proper skills and knowledge, homeowners are permitted to make both minor and major renovations on their place of residence. Before getting started, you will need to acquire a building permit from the Department of Sustainable Development and Construction. If you plan to hire a contractor, make sure you hire someone who is properly licensed and insured. Any contractor in Texas can apply for a general builder’s license through the state of Texas Department of Housing & Community Affairs. If your contractor has employees, they will also need to have workers’ compensation insurance that covers the cost of medical bills or time off of work if one of their employees is hurt while installing windows in your home. Even though there are no rebates or tax credits currently available to Dallas residents, many of the local energy companies offer discounts or incentives to their customers who have chosen to install ENERGY STAR® compliant windows in their home. Homeowners can save cash to pay for their new windows in full, or apply for a zero interest credit card or a home equity line of credit to fund major home improvements such as window replacements. Budgeting for new windows can be difficult, since the cost varies significantly based on the brand, materials used, and the size and style of the window. In general, vinyl replacement windows cost anywhere between $450 and $600, and wood replacement windows are closer to between $800 and $1000 each. When you draft your budget, you should also include $50 to $100 for each window to cover the cost of installation. 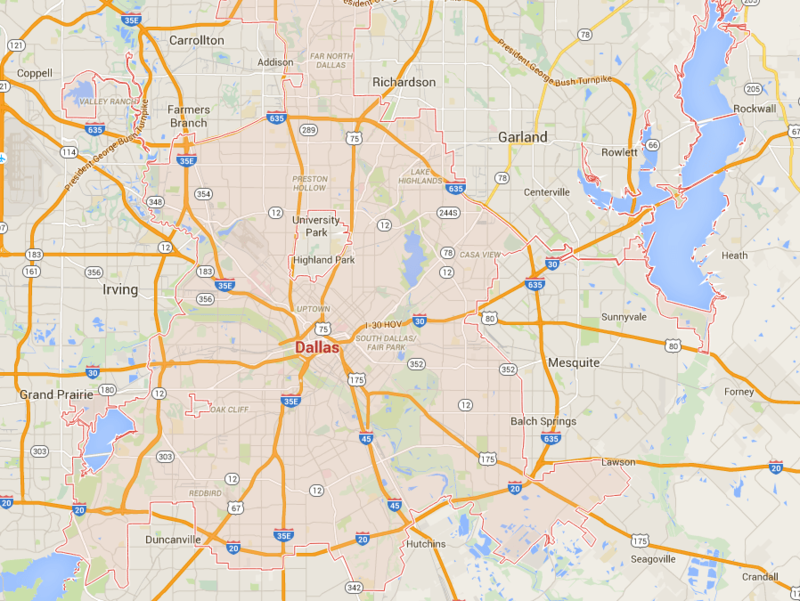 According to ENERGY STAR®, Dallas is located in the South-Central Climate Zone. Residents of cities located in this region can expect to rely heavily on both their heating and cooling to keep their home comfortable throughout the year. In Dallas, the climate is warm and humid. In January, the coldest month of the year, the average low is 30 degrees. In August, the hottest month of the year, the average high is 96 degrees and the humidity is high. Finding energy efficient windows for your Dallas home means finding windows designed specifically for a hot and humid climate that will also perform well during the coldest months of the year. Reading the National Fenestration Ratings Council label located on new windows is the easiest way to determine how well a window will perform in the climate of your city. When you live in Dallas, there are two ratings you should consider before making a window purchase. The U-Factor rating indicates the amount of heat that can enter or leave a home through the window. In Dallas, ENERGY STAR® requires that all new windows purchased have a U-Factor rating of 0.30 or less. The Solar Heat Gain Coefficient is the second rating you will want to consider as it represents how much solar radiation passes through a window, heating the home. Since the climate in Dallas is warm, a high Solar Heat Gain Coefficient would result in overheating of the home. Because of this, ENERGY STAR® requires all new windows purchased to have a Solar Heat Gain Coefficient rating of 0.25 or less. The condensation resistance rating is not always listed on new windows, so you will want to inquire about this rating before making a purchase. Dallas is very humid during the summers, and you will want to purchase a window with high resistance to excess moisture in the air. Although buying new windows for your home in Dallas is a large investment, it can save you as much as $266 in utility costs each year when you buy windows that comply with ENERGY STAR® requirements. In addition to lowered heating and cooling costs, you can expect to recoup as much as 75% of your initial costs if you choose to sell your home. Of course, money saved is not the only benefit, since energy efficient windows will lower your consumption of unsustainable energy and reduce the negative impact you have on the environment.